"Love matters a little, but luck matters more." The words of thirty-five-year-old David Melman's Jewish grandmother still haunt him. He's scared to settle down. Instead, he dates twenty-something pop stars that he meets through his celebrity-branding business. But when his niece and nephew inform him that he's hit "rock bottom" with his latest inappropriate relationship, David realizes that change might be in order-so when his sister Marcy, with her own ulterior motive, pushes him to take a film-writing class taught by her friend Laurel, he agrees. Will writing a movie about a childhood visit to his grandparents in Florida, an unforgettable driving lesson, and a 1977 Cadillac bring David love? Luck? Or both? 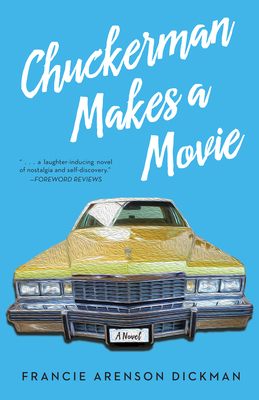 Alternating between David's present-day life and his past through his movie script, Chuckerman Makes a Movie is a romantic comedy blended with a comedic coming-of-age.